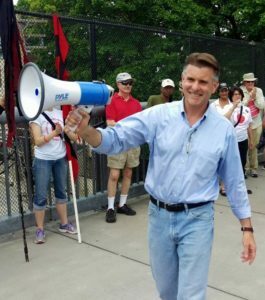 Terry Gipson is a former New York State Senator from the Hudson Valley. 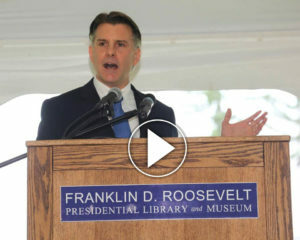 He was elected in 2012 and is the first Democrat to have represented the district since Franklin Delano Roosevelt in 1913. Terry is on the faculty at The State University of New York at New Paltz where he teaches Public Relations and Communications. He is a regular guest on WAMC Public Radio discussing weekly news events. 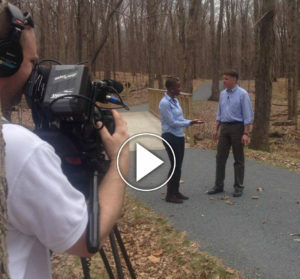 Here’s a recent video of Terry discussing voting and how it impacts the way that we communicate. 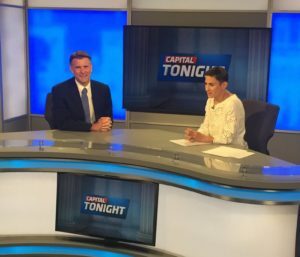 Terry Gipson on “Capital Tonight” discussing politics in New York and beyond. Public Service: Building stronger communities has been the cornerstone of Terry’s commitment to public service. 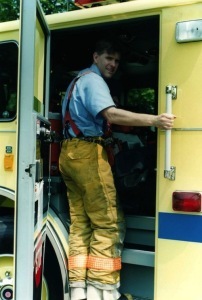 He was a volunteer fireman in Hartsdale, NY and was elected to two terms as a Rhinebeck Village Trustee where he worked extensively on the development of new infrastructure. As a State Senator, Terry was the ranking member of both the Local Government and Agriculture Committees. 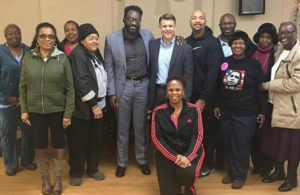 Environmental Advocacy: Senator Gipson fought to protect our drinking water by supporting a ban on Fracking and increased investments in the Environmental Protection Fund. 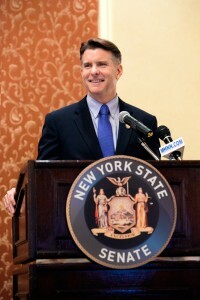 In recognition of his commitment to environmental conservation, Terry received the highest possible rating from Environmental Advocates of New York. 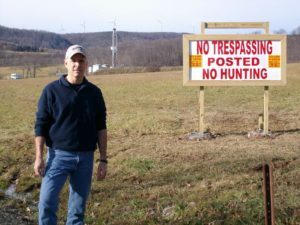 Terry touring fracking sites in Troy, PA.
Lyme Disease: Terry Gipson’s legislative work on behalf of Lyme disease victims is well documented. It was the advocacy efforts of his Senate office that led to the increased funding of Lyme disease research, and a new law protecting doctors that treat patients with long-term Lyme disease. Terry sponsored legislation to hold insurance companies accountable for covering the cost of Lyme disease treatment. Video: Senator Gipson discusses advocacy for Lyme disease victims and the need for more research funding. Community Support: Terry designed “Hire NY”, a program to help small businesses owners hire more people in their local community. He worked to create a more expedient family court system, and helped local organizations expand programs for victims of domestic violence and individuals with developmental disabilities. Terry is a staunch supporter of public school education and sponsored the bill that banned Pearson standardized testing. 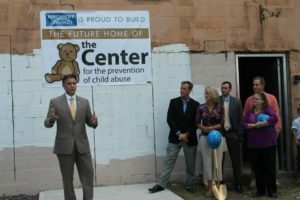 Senator Gipson announcing that his office has secured funding for the Center For The Prevention of Child Abuse in Poughkeepsie. Roots: Originally from Texas, Terry comes from a long line of farmers and laborers. He earned a Bachelor of Fine Arts degree from Texas Tech University and a Master of Fine Arts degree from Penn State. It was his background in the arts and creative problem solving that inspired him to get involved in public service. Terry has lived in New York for over 24 years and resides in the Hudson Valley with his wife Michelle, a native New Yorker. 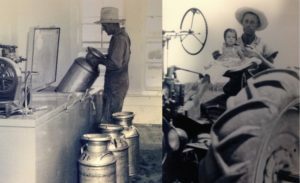 Terry’s Grandfathers: JM Gipson working on a Texas dairy farm & Robert Ellis Compton on a tractor with Terry’s mother. Terry leading rally to support Farm Workers at Walkway Over The Hudson in Poughkeepsie. 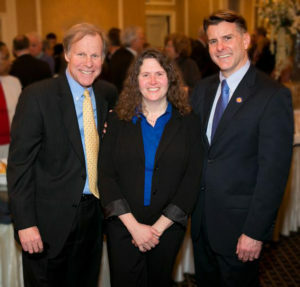 Terry with his wife Michelle and former Chief of Staff Brian Keeler. Career: Prior to entering public service, Terry worked as a Director and Designer for MTV Networks in New York City. He collaborated with network executives and producers to develop hundreds of entertainment and marketing events for MTV, Nickelodeon, CMT, Comedy Central, and other Viacom properties. In 2006, Terry launched Gipson Design Group to develop interactive marketing experiences for MTV, American Express, Disney, and other major corporate brands. 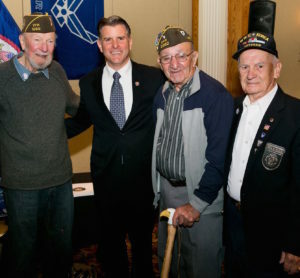 Terry with Pete Seeger and other WWII Veterans during the annual Veterans Fair hosted by his Senate office.